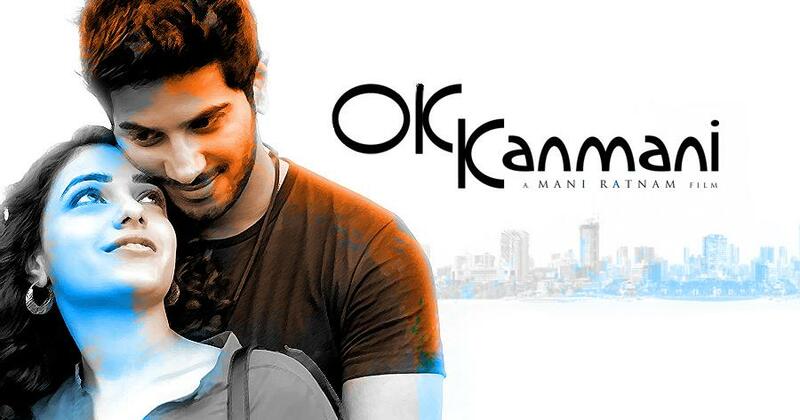 Mani Ratnam is back with one more musical romantic entertainer, O Kadhal Kanmani alias OK Kanmani. The ace director is all set to repeat the Alaipayuthe magic with Malayalam superhit on-screen pair Dulquer Salman and Nithya Menon in OK Kanmani. Ok Kanmani has AR Rahman's music and the album has become one of the biggest hits of the recent times. Once again, he has given his best to Mani Ratnam. As a result, people were expecting a beautiful musical romantic entertainer and the film has not disappointed them. The performance of the lead stars, PC Sreeram's perfect cinematography with AR Rahman's brilliant music are the highlights of the movie. Critics praises the entire crew and most importantly the director for giving such a fresh young love story. The movie has PC Sreeram's cinematography and Sreekar Prasad's editing. Prakash Raj, Leela Samson, Prabhu Lakshman, Ramya Subramaniam, Kanika and others are in the cast. KE Gnanavelraja of Studio Greens proudly presents Madras Talkies produced O Kadhal Kanmani. Something special for all young people, and in style ! Love in its true shade! A movie that should be watched with family and discussed too. Bursting with the kind of lovely little moments that'll bring a smile on your face. Go for it! It is an expected result for Maniratnam's movie. going to see the movie tomorrow..
Manirathinam copied friends with benefits and all foolish laurels heaped on him. Nallathukku kalam illappa. How many young directors are producing excellent movies and not a whisper from anybody. It is Hype begets Hype world. Shame.